When you feel like you’re being targeted and bullied you tend to show up differently and not be yourself. How can you be? Someone is after you, right?! 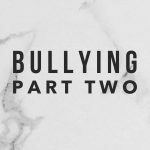 Here’s the thing…when you’re being bullied – really bullied or you THINK you’re being bullied you’re losing an important part of you. You start to tell your story differently. What I mean by that is the story you’re telling about yourself. We all tell stories. We’re all really good story tellers. We talk to our friends, family, parents, teachers, online buddies etc about our day. We tell them about that mean, wicked, no good _______________ that’s been making your life MISERABLE. You tell them about how they won’t leave you alone, the ugly glares they give you, the off handed comments they mutter, or the stories/lies they’re spreading to others behind your back. And it’s obvious that in this story there is a clear villain. Duh…it’s the BULLY. And if there’s a clear villain there is also a clear victim…YOU. Don’t get me wrong, if someone is treating you in a way that is inappropriate or threatening – you ARE the victim but…you still have power in this. So much of the time though, we give all our power away to said villain. We let them dictate how we feel. We let them dictate who we are. We let them control our thoughts, time, feelings, and actions. Jennifer has a thorn in her side ever since she moved and had to start her freshman year at a new school. There’s this girl, Stacy. Ugh. She’s constantly making my life miserable. She glares at me from across the class – I can FEEL her eyes pouring into the back of my head. She talks about me to everyone she knows telling all kinds of lies about me. She yells things at me whenever she sees me on campus. She even stalks my insta account. She’s so mean. I’m anxious just thinking about her. I can’t go out and visit with my friends at lunch. I’m too afraid to be anywhere Stacy might be. I feel worthless and alone and scared. Okay…Jennifer. Is Jennifer a victim? Absolutely. Is she defenseless? No, I’m not talking about physical assault. Does she have options? Absolutely!!! Victims tend to go a couple of ways: They go the, “Something is WRONG with ME” route – where they take the blame for the said villains actions. They think that if they were different somehow that person wouldn’t be bullying them. They think that if they were cuter, smaller, smarter, funnier, sportier, etc. they’d wouldn’t be in this mess and people would like them. THIS IS SIMPLY NOT TRUE. 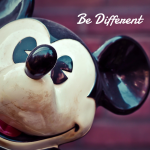 You don’t have to CHANGE for anyone – in fact, it’s better if you don’t. You are amazing and perfect just as you are. Don’t change for others – evolve and grow because YOU want to…which actually makes you more of you anyway. STAY YOU. The other route victims take is the “It’s not your fault, there’s nothing you can do” route. This is ALSO a problem. It IS NOT your fault – but…there IS ALWAYS something you can do about it. When we believe that it’s not our fault and there’s nothing we can do OR when we think it’s ALL our fault and there’s something wrong with me WE LOSE OUR POWER. Such a disempowering place. There’s no room for growth or progress. THERE IS ALWAYS SOMETHING YOU CAN DO. If you need help – GET IT (see post one HERE). The bully does NOT have access to your feelings EVER. This is a BIG one actually. You only feel how you’re feeling because of a THOUGHT you’re having about it. The way you’re feeling has nothing to do with the circumstances or the bully. I know it feels like it but it’s not true. If you all of the sudden got amnesia and said bully walked up to you would you still feel fearful? scared? worried? ashamed? NO…you wouldn’t even know who they are. You’d have a thought, hmm…who is that? But you’re feeling all those things because of thoughts in your mind. You’re thinking, “oh no…what are they going to say/do/think now?” And because of that thought you create worry, fear, anxiety. We have so much more control over our feelings than we realize. We have MORE power than we ever realized. I’m not telling you to skip feeling fear – fear is useful to protect you BUT it doesn’t have to be the only feeling – it doesn’t have to be your identity. No matter what the circumstance is YOU GET TO DECIDE WHO YOU ARE going to be, how you are going to feel, and what you want to do about it. Think about this for a moment: Who do you want to be always? 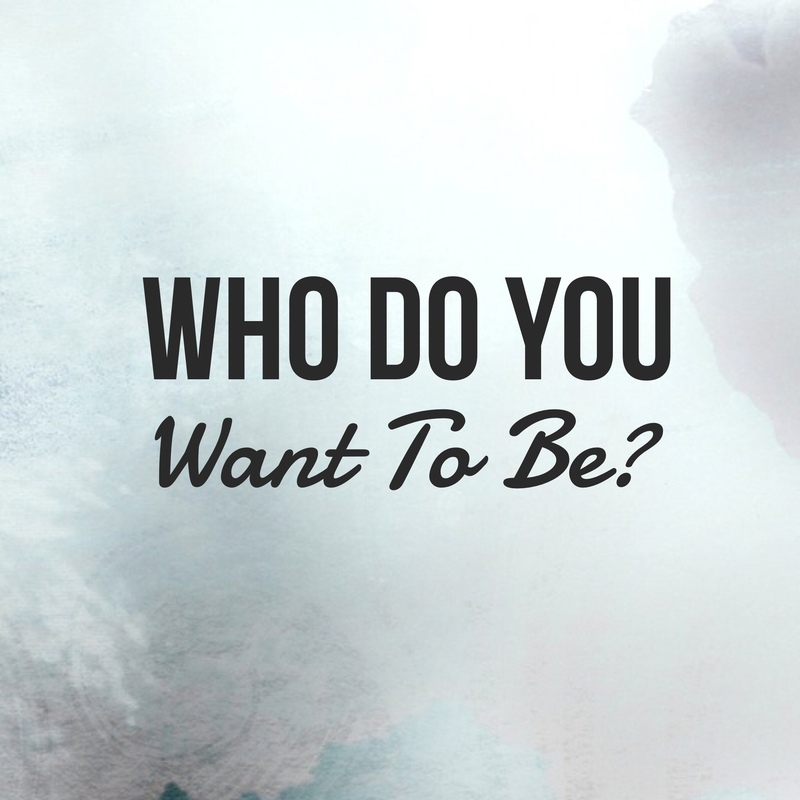 No matter what happens around you, who do you want to be? You can still be that no matter what is going on. If you want to be KIND always, YOU CAN BE. When that person says something about you, you don’t have to change – they don’t have have the power to change that for you – You choose to think a thought about it – why not have a thought, “what would KIND look like here? What you KIND do? What would KIND think about?” – Maybe kind is walking away. Maybe kind is getting help. What does kind do for you? for them? You always have power. They can’t take away your power. Keep your power. Think about the story you’re telling yourself – tell yourself an empowering story – where you’re the HERO. You still have your power -always but that doesn’t mean that their behavior is okay – that behavior is NOT okay. GET OUTSIDE HELP when you need it. Just remember that you don’t have to hide. You have more power than you realize and more support than you know. bully, bullying, empowerment, power, teen, teenspot, thoughts, victim, villain, who are you?